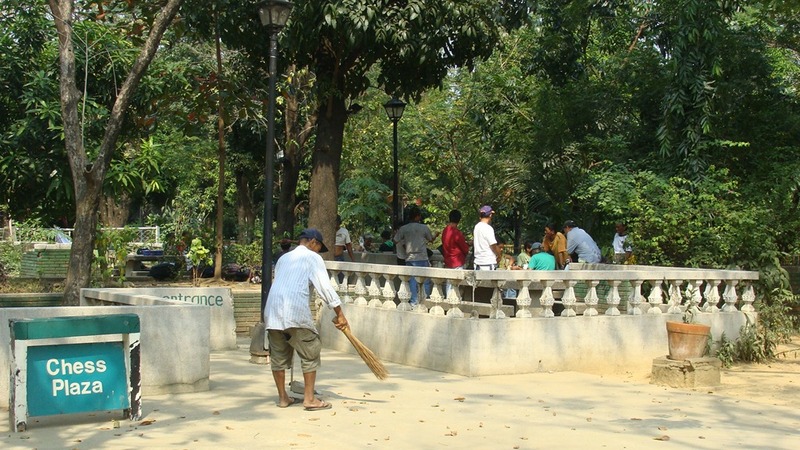 As many Rizal Park patrons now, which would account to a great majority of Metro Manilans at least, the park offers more than the Rizal Monument. Many of which have become popular spots among longtime patrons of the park. 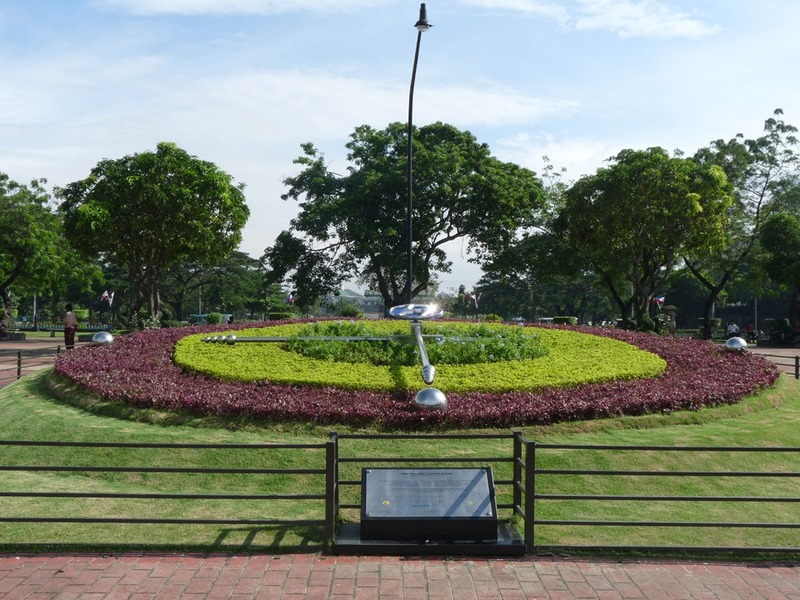 One of those classic park attractions would the Flower Clock, which has been around since at least the 1960’s. It was recently renovated with the help of a private entity, though some have noted the older version of the Flower Clock looked better than the current one. 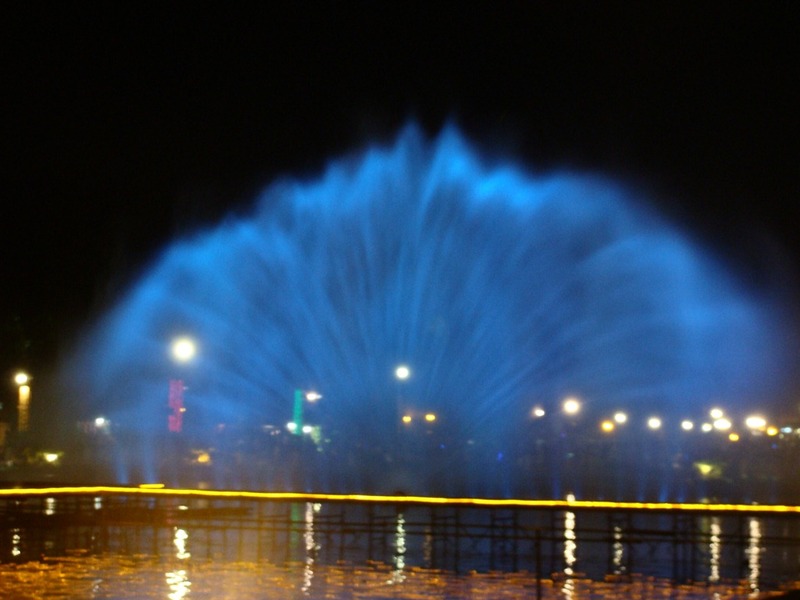 A few blocks away down from the clock is the park’s pool fountain, which recently was renovated such that the fountain gets all lighted up at night. 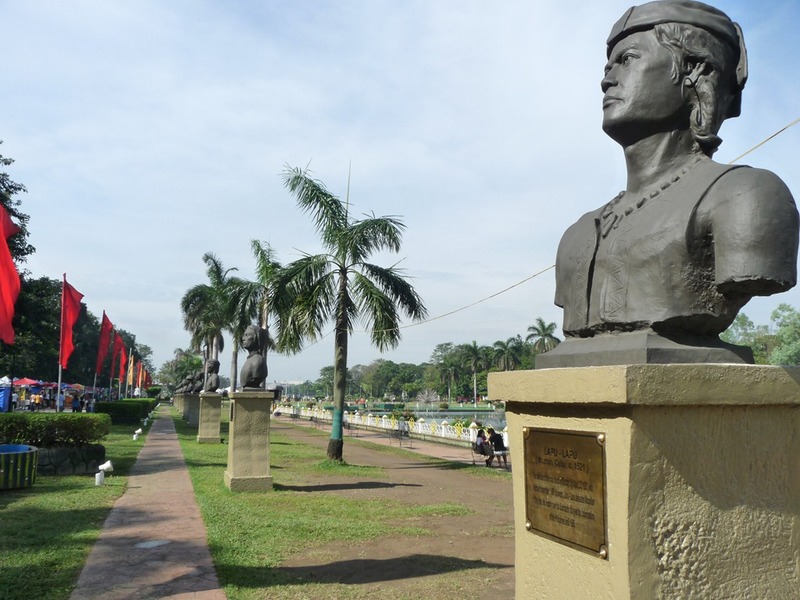 If you notice the immediate surroundings of the pool, you may notice a gallery of head busts of various Filipino figures in history who have led various struggles against colonial rule. 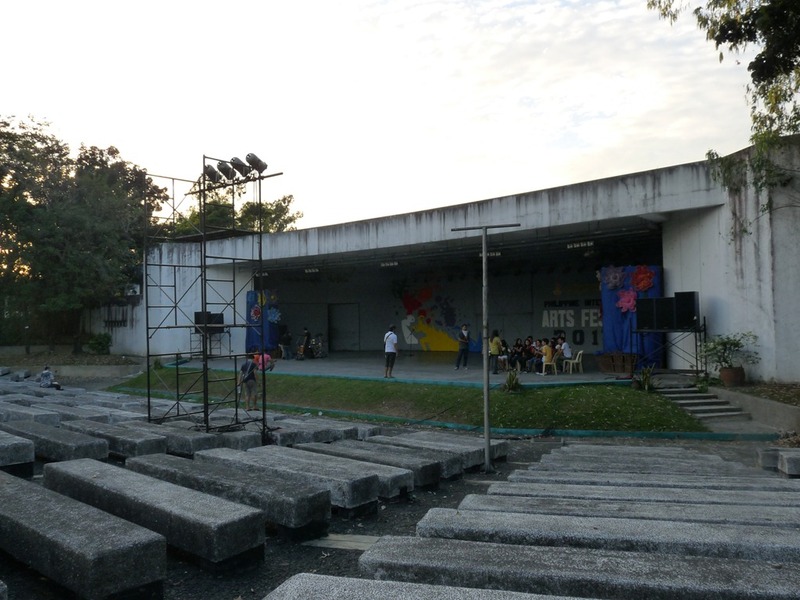 The park also boasts an open-air auditorium which serves as a venue for various presentations like film showings and concerts. Yes, the ones that are seen in the program “Concert at the Park” on the government TV network. Nearby the auditorium is the park’s chess plaza where folks spend their leisure time here by, of course, playing chess. But it’s said that this venue becomes more lively in the evenings as it becomes a venue where people engage in spirited debates or marathon quizzing sessions. I have yet to witness those legendary sessions; here’s hoping I can witness such night soon. 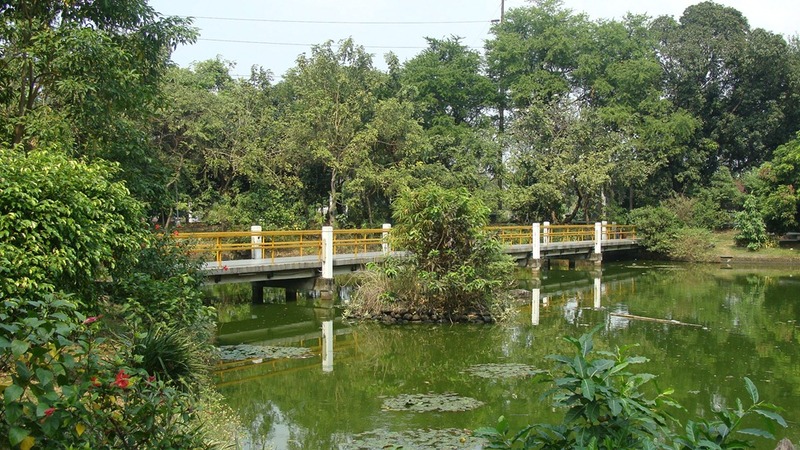 Two different gardens, with separate admission fees can be found on the park’s western end which “sandwich” the auditorium and chess plaza. 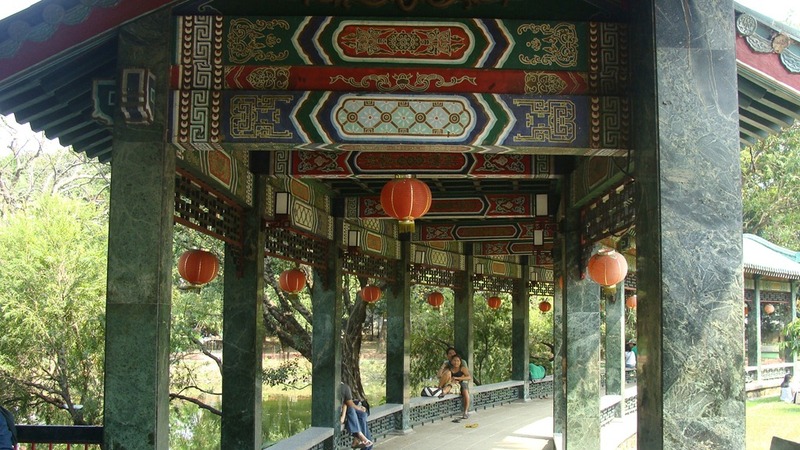 Up north is the Japanese Garden, with some Japanese-inspired designs and bonsai plants with it. 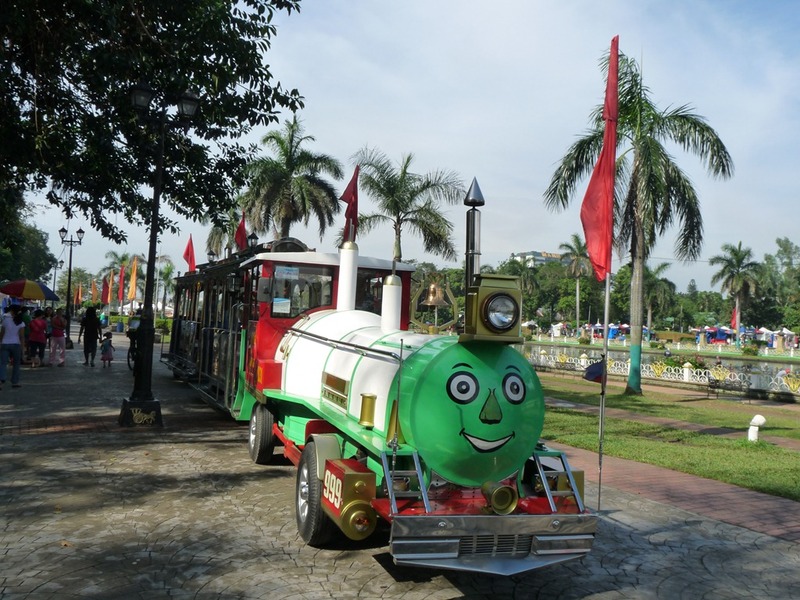 But the park at the south is the more famous one, probably because it offers wider space. 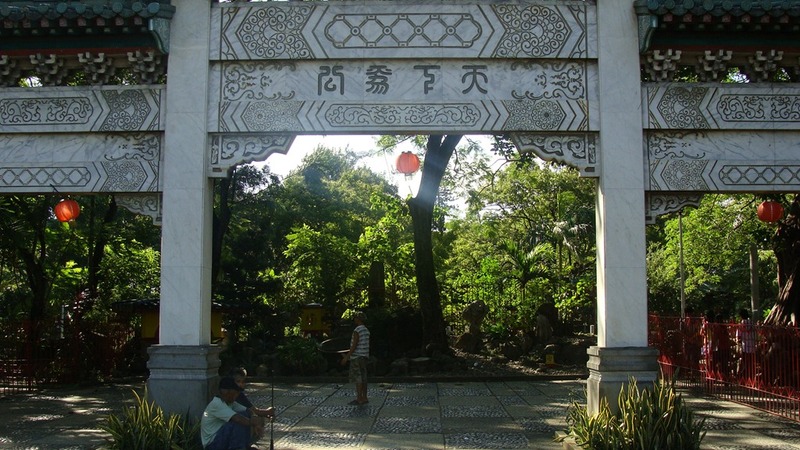 This would be the Chinese Garden, with Chinese-inspired designs and a statue of the famed Chinese philosopher Confucius to compliment the area. 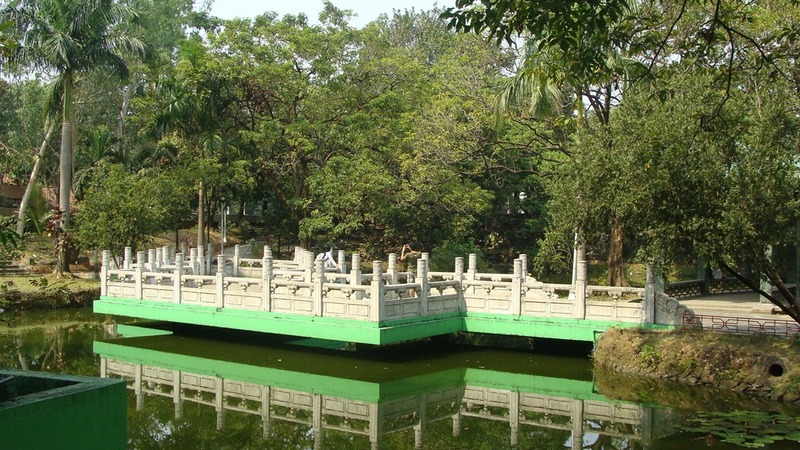 On the opposite end of the park can be found some interesting sculptures, each having some colorful histories to tell. 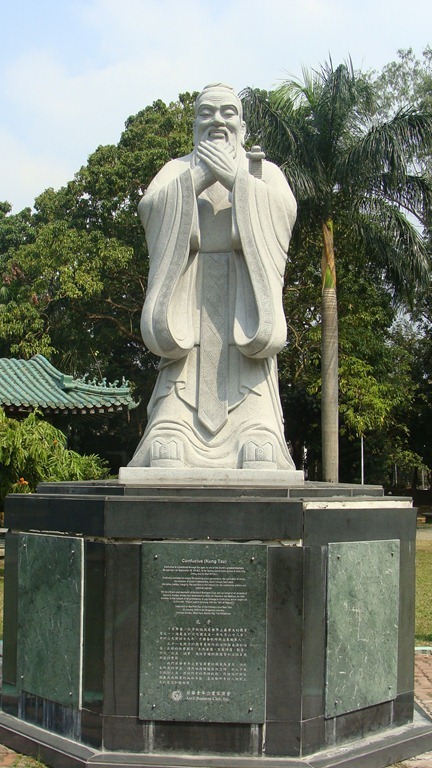 One of which is this sculpture called La Madre Filipina. (the Filipina Mother) by a certain Martinez and retouched by a certain Mr. F. Caedo. 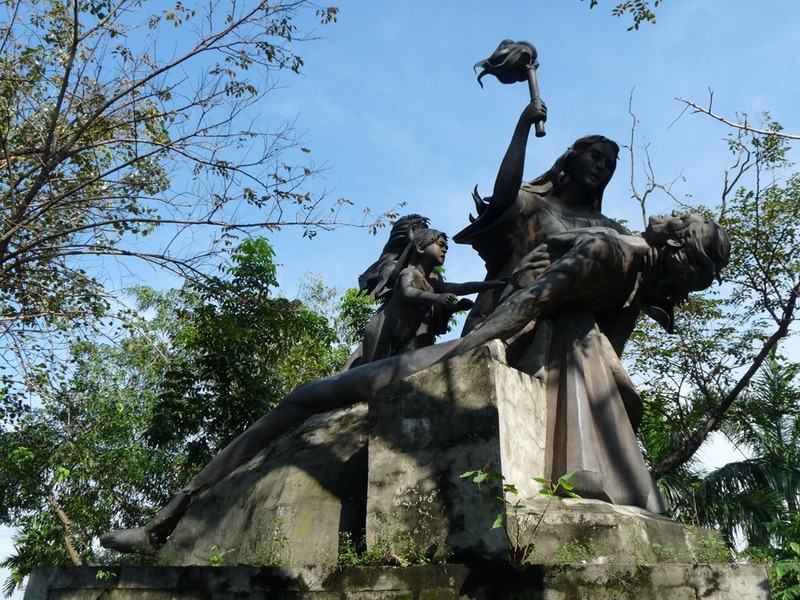 The sculpture is actually part of a 4-sculpture series which depicts the sacrifices of the Filipina mother which were placed on each end of the pre-war Jones Bridge that linked Binondo and Intramuros/Plaza Lawton along the Pasig River. With the bridge heavily damaged after World War II, 1 of the sculptures could no longer be found; the remaining 3 had to be moved elsewhere. 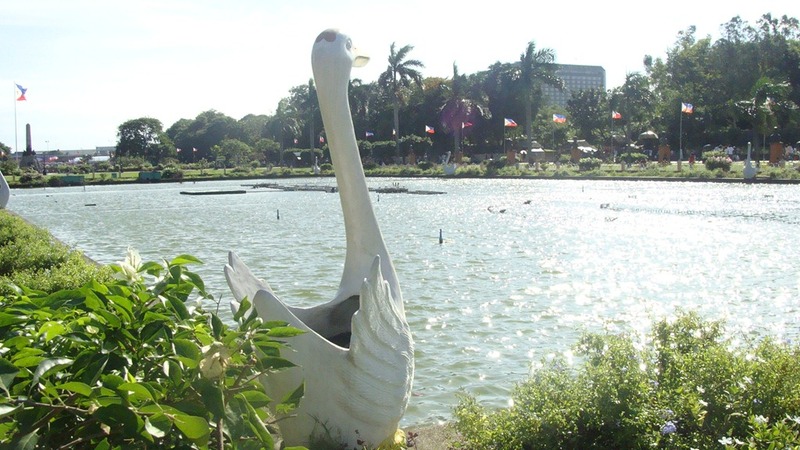 Thus, one of them is the one we see today at Rizal Park while the other two were moved to the then part of the University of the Philippines campus which is now the Court of Appeals complex. 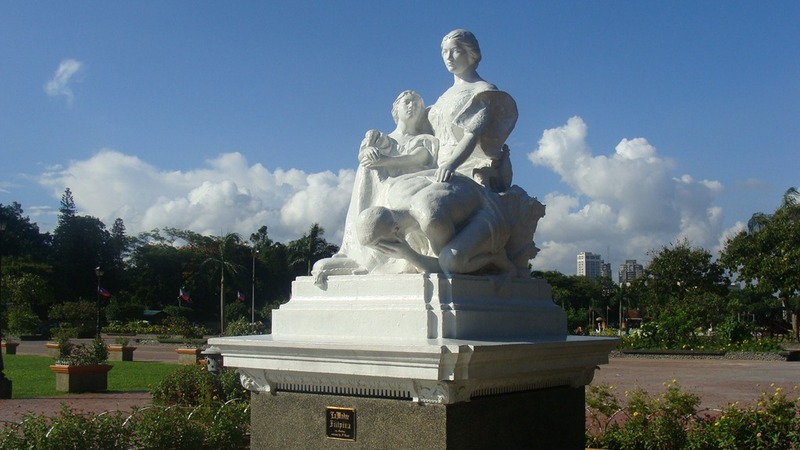 Next one is another sculpture that pertains to motherhood, in this case the motherland or Inang Bayan, entitled Binhi ng Kalayaan by Eduardo Castrillo. (Fruit of Freedom) It was a sculpture commissioned as part of the country’s centennial celebrations in 1996-1998. 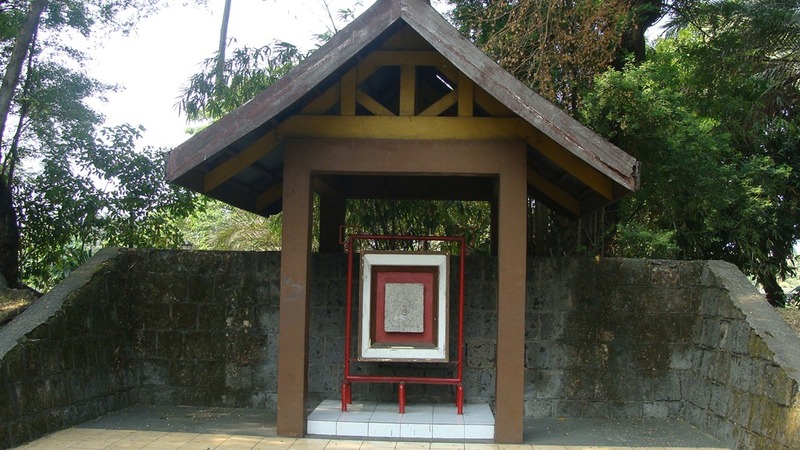 It was actually the former occupant of Valencia Circle before it was displaced by the current tenant, the Lapu-Lapu statue and got relocated to a more “discreet” area. Located near the “Binhi” sculpture is an area known as “Plaza Noli Me Tangere” and its centerpiece is a fountain donated by the people of Wilhelmsfield, Germany in 1964. Rizal actually stayed in this town at while studying ophthalmology at the nearby Heidelberg University. 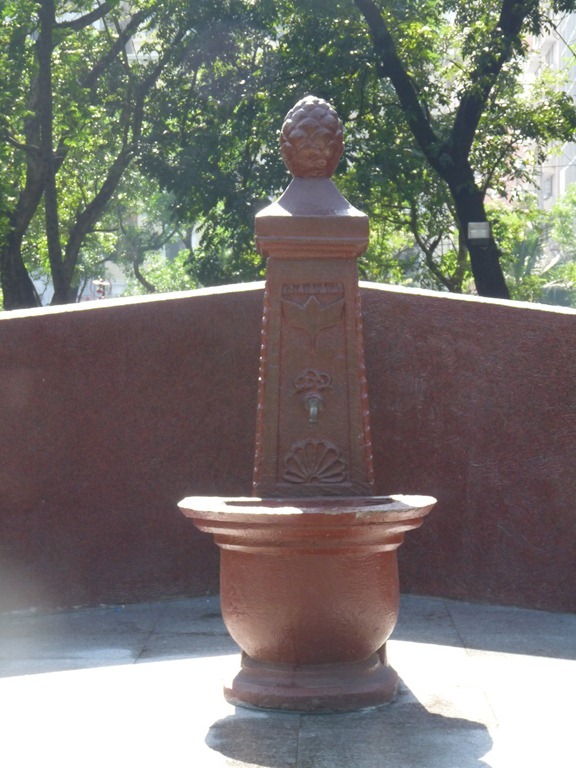 It is said he would drink from this fountain from time to time, thus its significance. 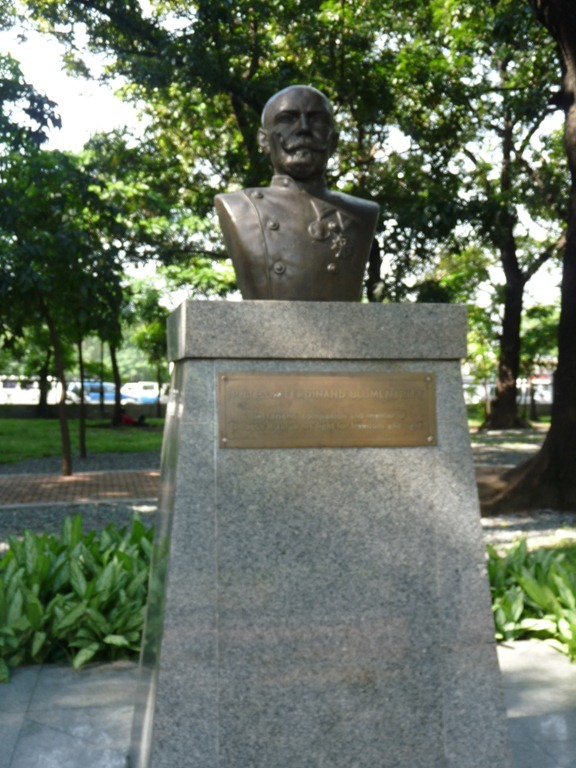 Nearby is the bust of Rizal’s best friend, Austrian professor Ferdinand Blumentritt, with whom Rizal communicated the most throughout his life.